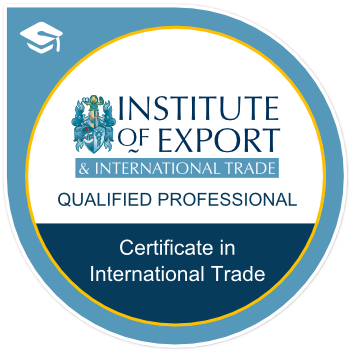 Earners of the Certificate in International Trade badge have a good awareness of global trade issues and a clear understanding of the processes and practicalities of International Trade. They know the various techniques which a business may employ to move into an overseas market, the legal aspects of international business operations, understand the role and importance of Incoterms, the structure of the UK Balance of Payments, the operation of cargo and credit insurance policies. Pass the assessments for each of the four modules.